The Connecticut River is New England’s longest river and it runs its course through four states. Growing up in Connecticut I spent my childhood in a small town just west of the river in the center of the state. My childhood was filled with activities that, I assume, most other suburban New England childhoods are. I stayed relatively unaware of the areas surrounding my hometown and just assumed that most of the rest of the center of the state was similar to it. Malls, shopping plazas, chain restaurants; suburbia. Little did I know that just across the river — separated only by a short ferry ride — was a whole different type of place. 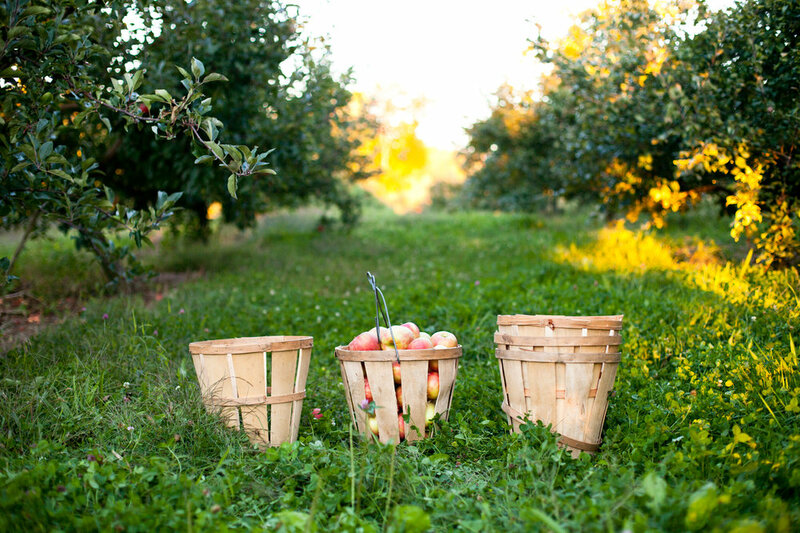 South Glastonbury is a fertile area full of orchards and farms. Follow any winding road and you will pass farm after farm as well as many quaint farmhouses. Finally feeling free of suburban Connecticut I moved to Boston for college. As it happened, my freshman year room- mate, Erica, grew up just across the river from me in South Glastonbury. As we became close friends I realized that though only a few miles had separated us growing up, her childhood had been quite different from mine. Her family owns Woodland Farm, a 15-acre fruit farm that has been family owned and operated since the 1960’s. Though people in the area know them best for their apples they also grow cherries, raspberries, blueberries, blackberries, plums, peaches, donut peaches, nectarines, apricots, and pears. I have many fond memories of growing up on the farm, and honestly, each new crop throughout the season reminds me of specific moments in my personal history. We used to rent an additional blueberry patch from a neighbor of ours which produced a crazy amount of blueberries, and blueberry season reminds me of great conversation with my cousins, many games of “truth or dare”, and a lot of sunburn. Peaches remind me of my father, during peach sea- son he is very rarely seen without a peach pit in his mouth. When my brother and I were younger we would be his “basket girl” and “basket boy” carrying his full basket of peaches to the truck only to bring him an empty one. We were astounded at the rate at which he fills baskets. To this day he still out-picks me 2-1. 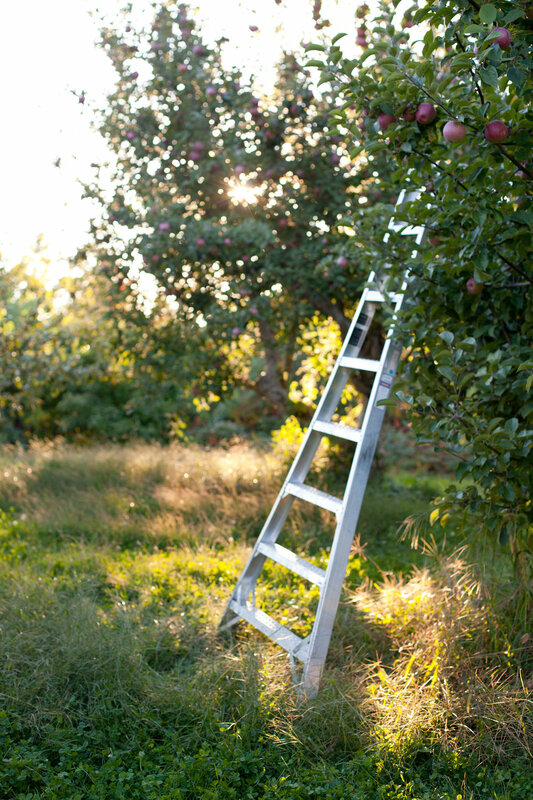 Apple season reminds me of “back to school” as well as packing apples for wholesale in my grandparent’s garage. 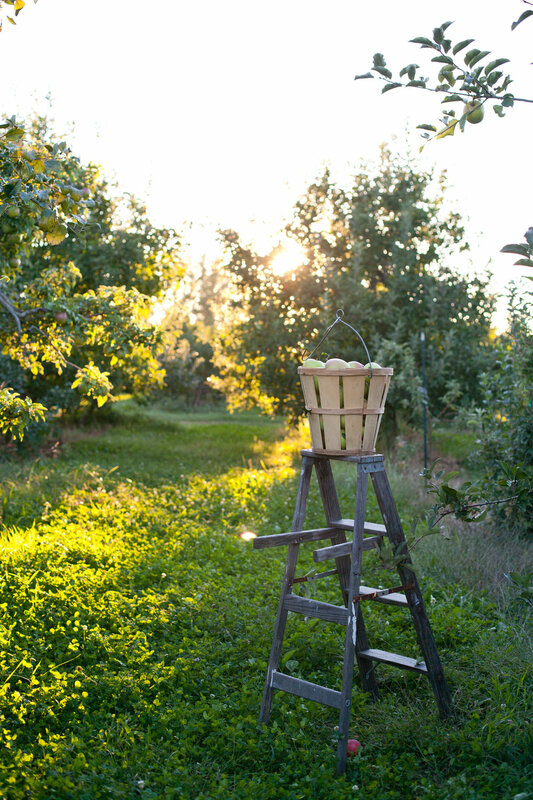 We have an apple-sorting machine that visitors to the farm see as magic. When people come to the farm we explain how this machine sorts our apples by size and joke that due to having to pack so many apples neatly in boxes that we are masters at the game of Tetris. Though all of these memories are unique, the unifying theme is that I got to spend an extraordinary amount of time with my family, learning how to take pride in my work. I love so many for so many different reasons, so I will start from the beginning. Lodi is the first apple we harvest (in July) and I love this apple for its thin skin and tart flesh. The extraordinary thing about Lodi’s is the fact that their skin is SO thin, you don’t have to peel them to bake with them. 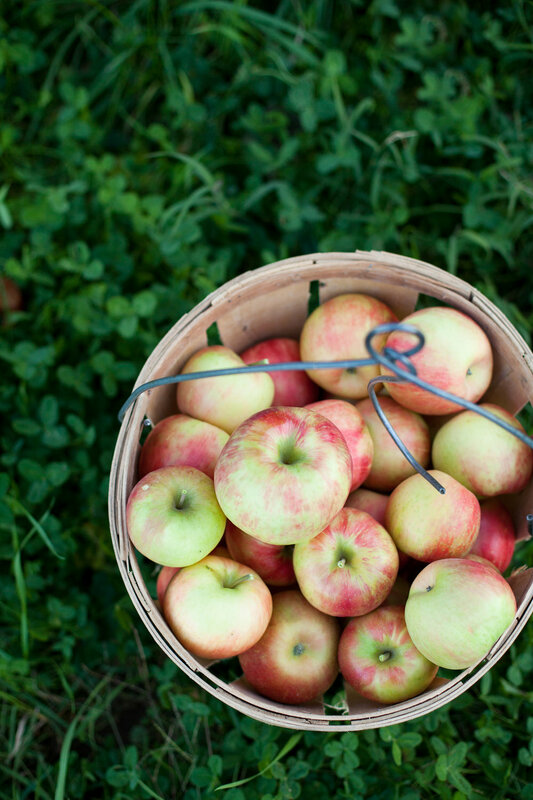 Ginger Golds, Red Free, and Zestar are some of my favorite summer eating apples. These varieties are often over- looked because most people don’t think that apples are around until September, which is just not the case! 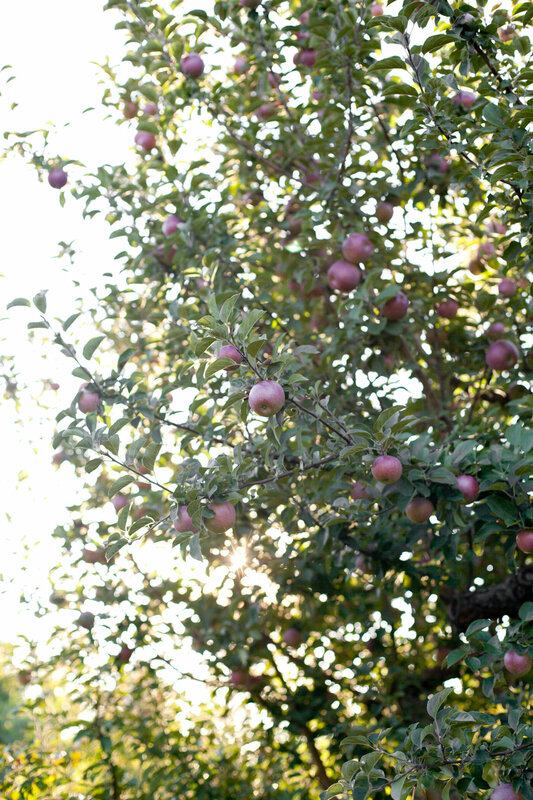 In terms of fall eating apples I really enjoy Jonagolds, Braeburns, Empires, and Melrose. All of those varieties have a sweet flesh with just a hint of tartness behind them. Macouns and Honeycrisp are both great, and speak for themselves.